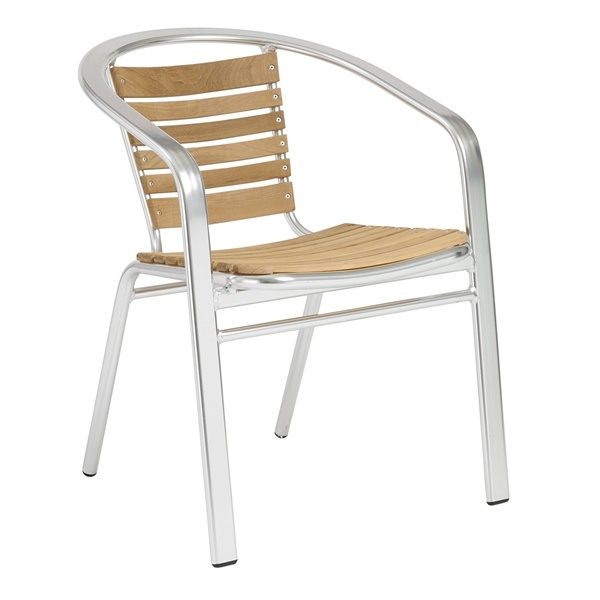 The contrast between the teak and aluminum of the Shirley Side Chair is instantly captivating. This simply stunning contemporary chair features a seat made of teak and an aluminum frame. Ready for all weather, the Shirley Side Chair makes a great choice both indoors and out. This modern chair is conveniently stackable and can be used both indoors and out. Offering the perfect combination of form, function, and comfort, the Shirley Side Chair makes a great addition to any modern home.